We’ve gone and done it again! 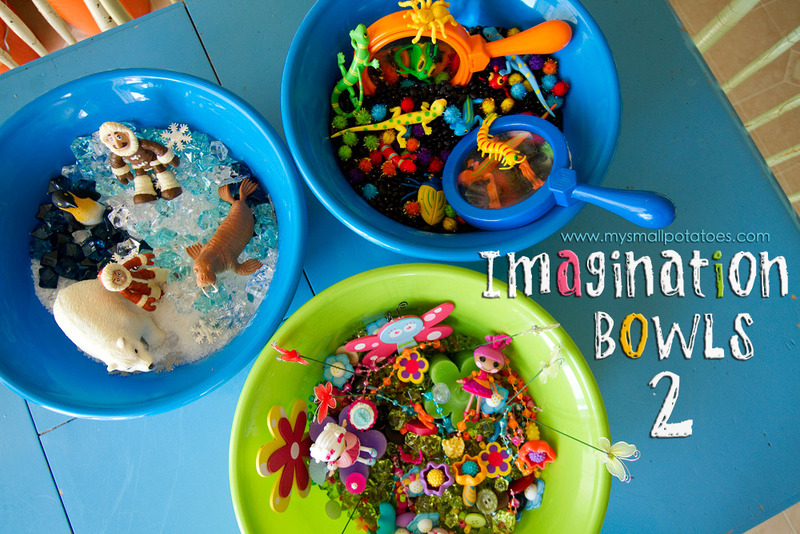 More bowls, and more imagination! These bowls were created with help from my daughter Liz…she had some really great ideas. They really are the perfect size for individual play time and they have been a great solution for the “non nappers” around here. I don’t have to shush them or stop them from running around…they are happy to sit and play at their bowls! 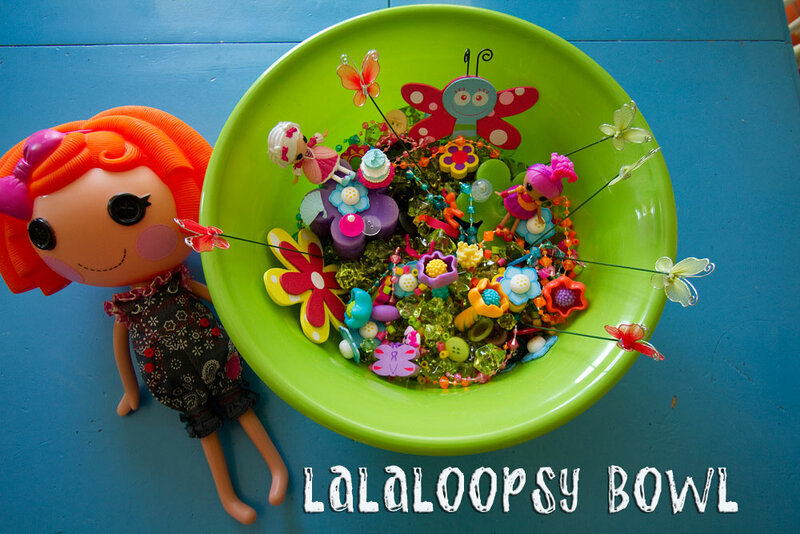 We’ll start with our LaLaLoopsy Bowl… LaLaLoopsy dolls are the latest fad around here with the girls. 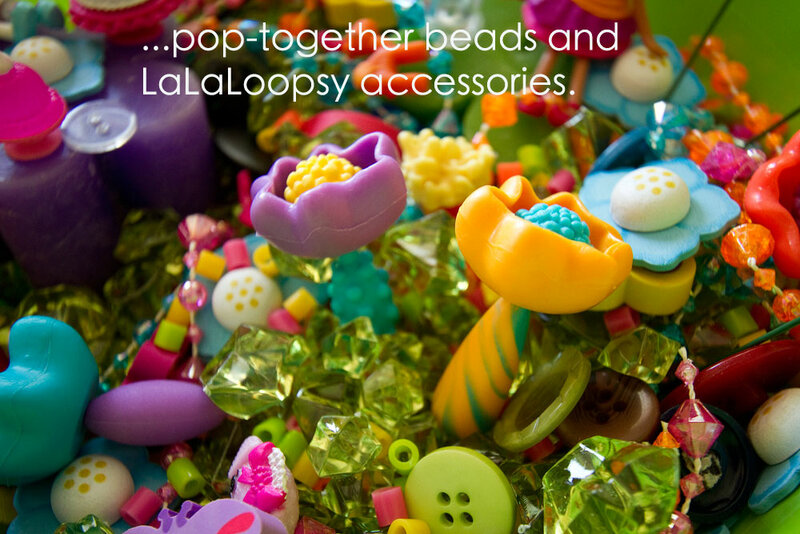 They are cute little colourful dolls with button eyes and deliciously girly names. 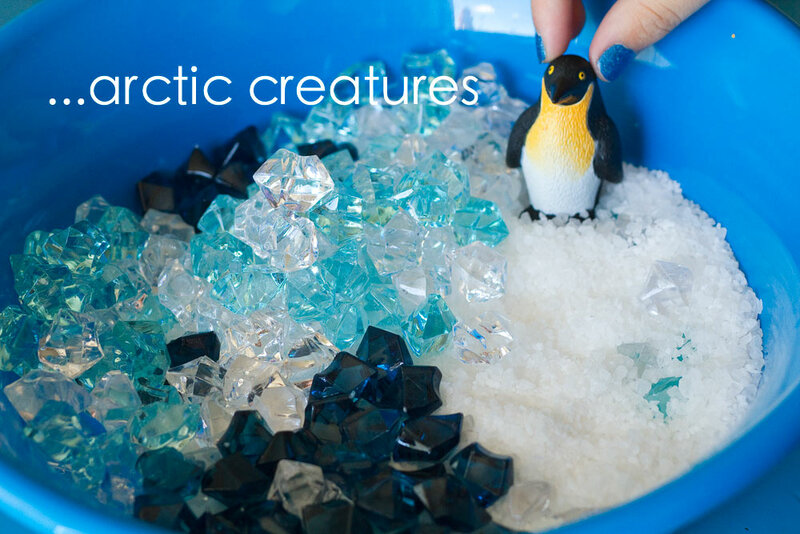 They lend themselves to a sensory activity so easily! Liz had the most fun putting this one together. 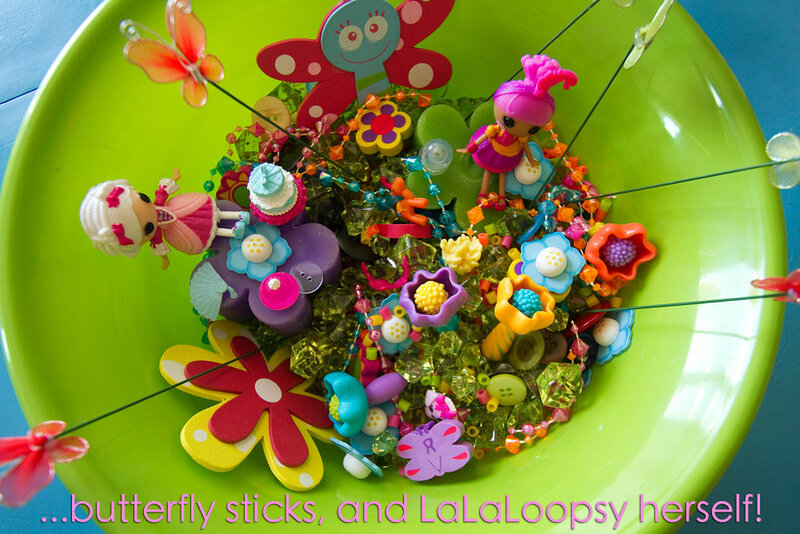 A lot of the pieces in this bowl came from our craft supplies, or the dollar store. 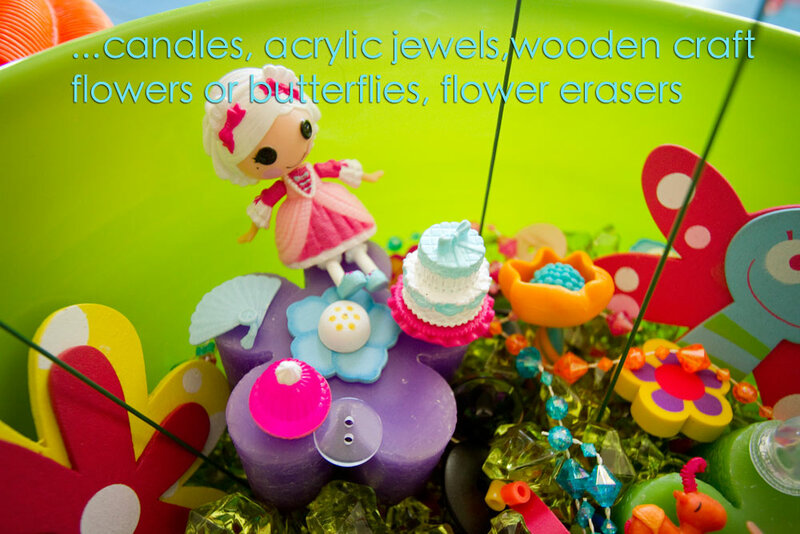 The bead necklaces were cut into 3 inch sections, and the candles had their wicks removed. 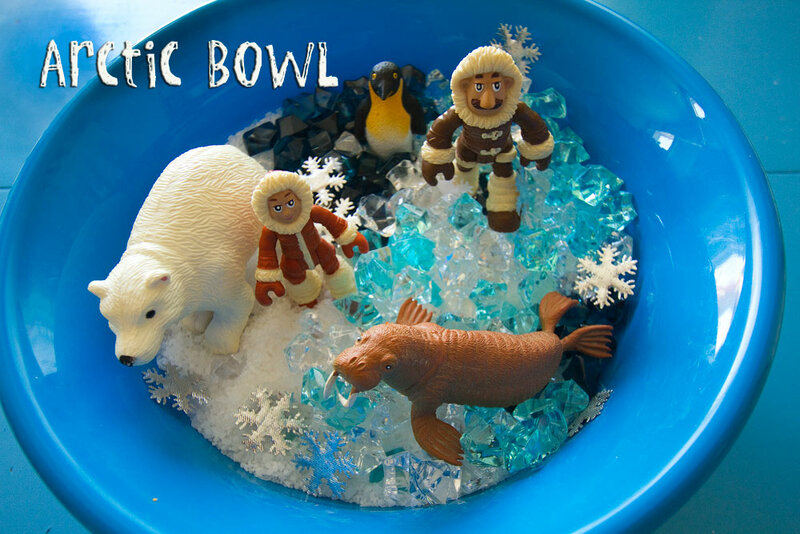 Your imagination is the limit, but here is a photo guide of the elements we used in the bowl… And then the playing began. 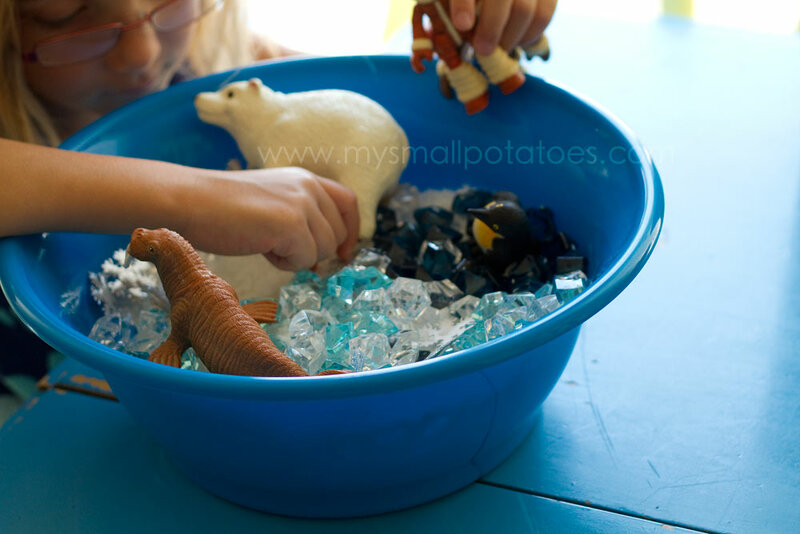 Coco likes to remove things from sensory activities and organize them the way she likes. I tell the smalls it’s ok to remove items and play beside and inside the bowl, they just can’t wander off with pieces and bits. 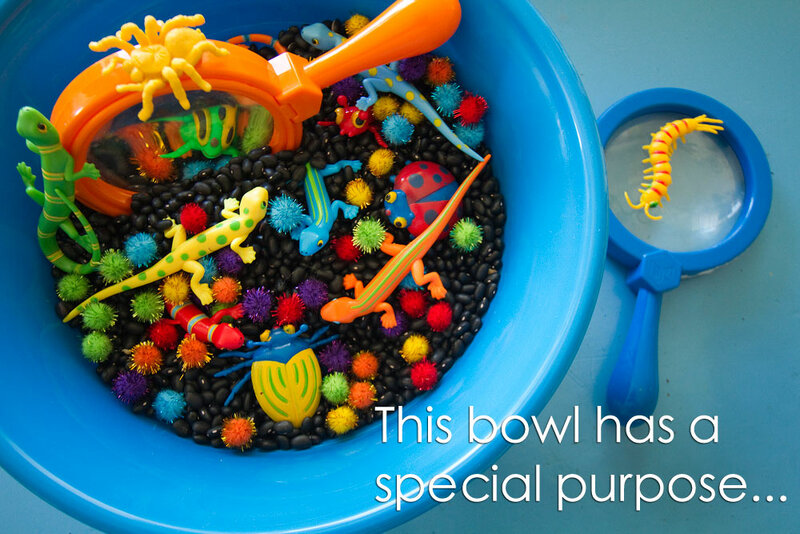 As you can imagine, this bowl was popular with the girls, and they had a hard time waiting for their turn! 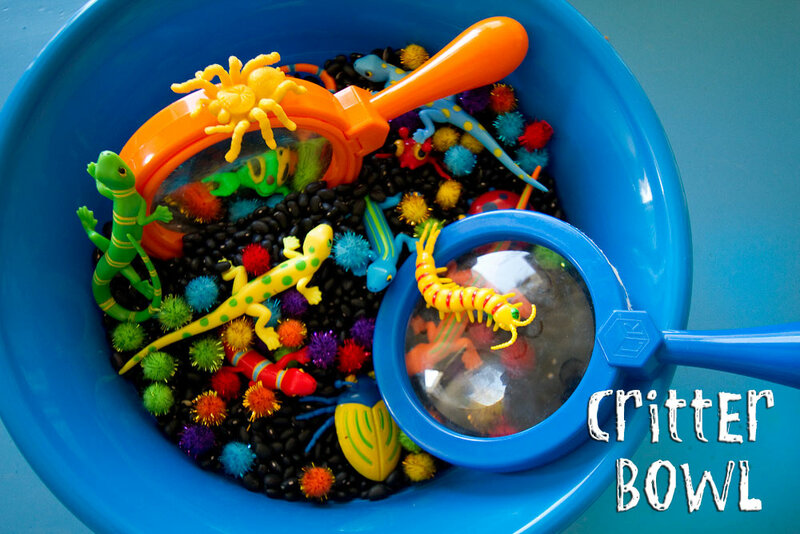 And for our last bowl today, we created the Critter Bowl… It is chock full of colour and creepy crawly critters and is a big hit with the toddlers AND big kids alike. It’s very simple to assemble… And that’s it! 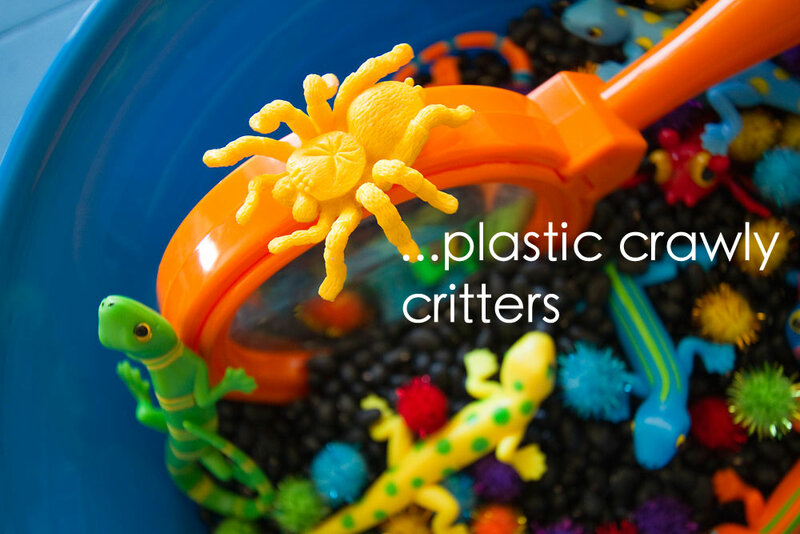 The smalls scooped and burrowed, they looked at the critters with the magnifying glasses. 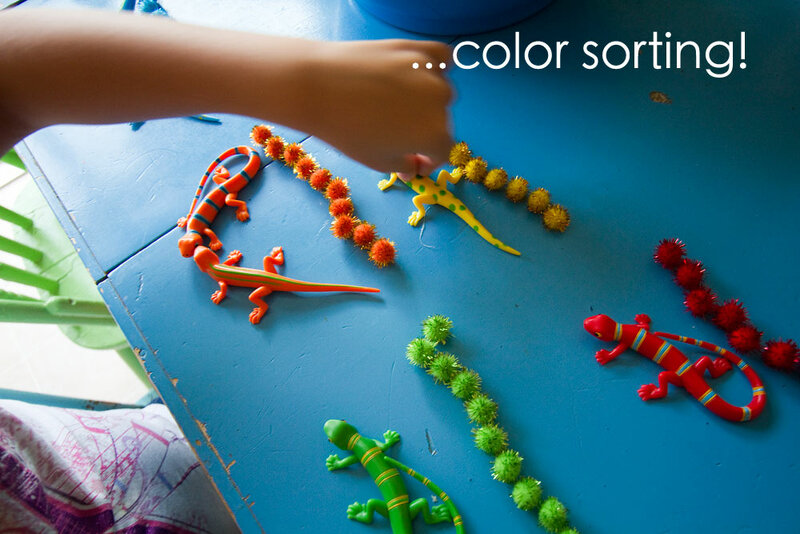 But that’s not all you can do with this bowl… And not only color sorting, but counting, too! Coco liked to count how many pom poms she needed to match the length of the lizards. 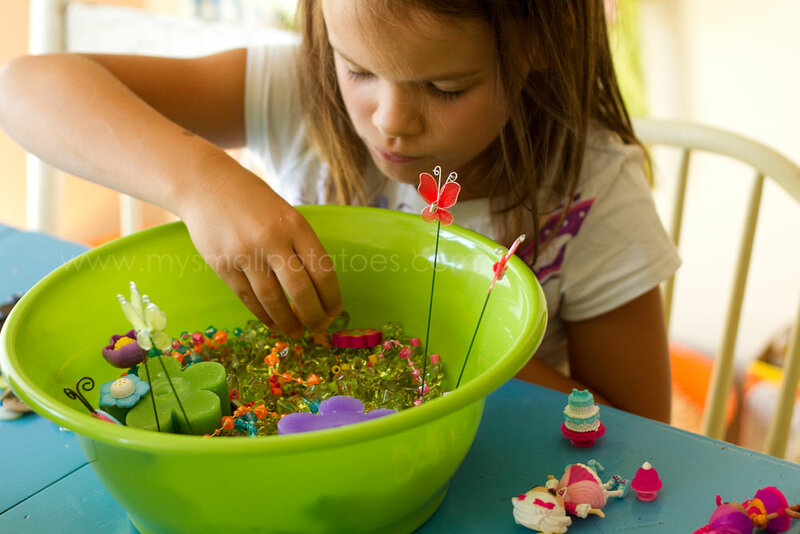 What a great way to introduce children to the concept of measuring! So there you have it! 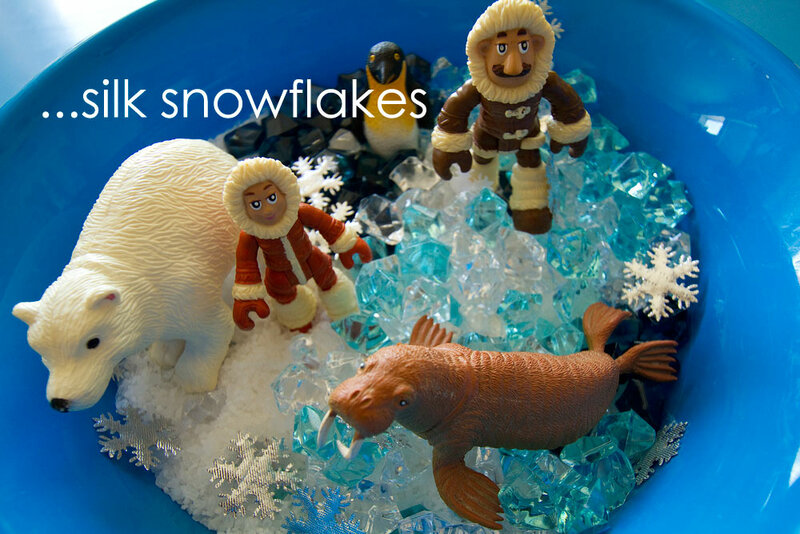 3 new Imagination Bowls for the little ones in your world. If you missed our first edition of these bowls, click here and it will take you right there! Today is Weekly Kid’s Co-op day and we already have some great ideas linked up! If you blog and have some great kid-friendly activities to share, click the “add link” button at the bottom of this post and include yourself in all the fantastic ideas! If you don’t blog, but still want to browse, go ahead and click the view button and help yourself! I love all of your ideas! 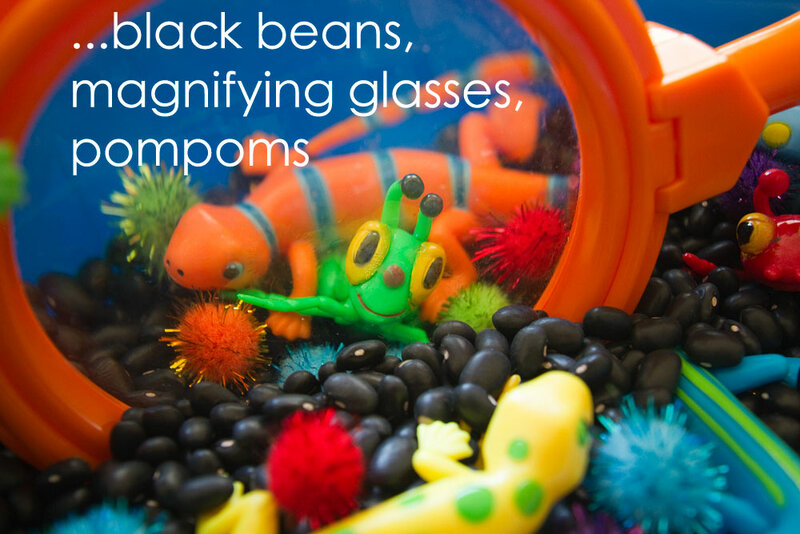 so many sensory expereiences for the kids! do you spend a lot of money and time collecting and shopping for your daycare activities! Do you have a helper in your daycare? the children in your care are blessed! Time yes, money…a little! 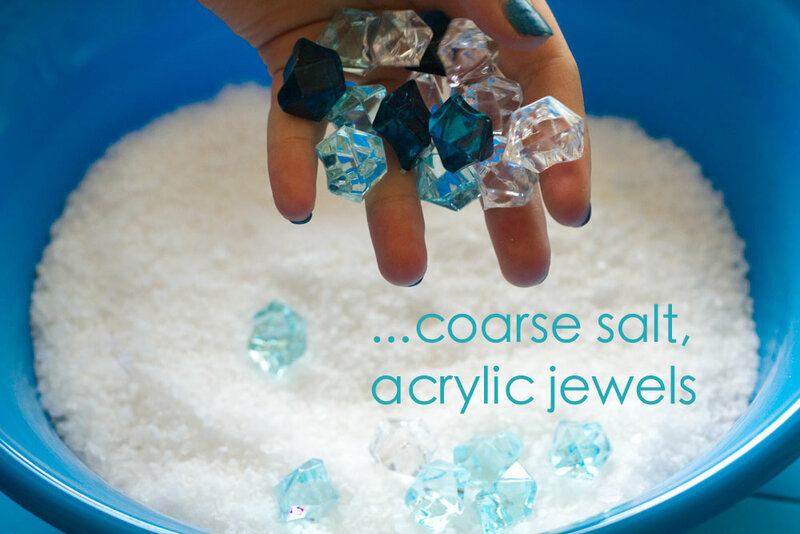 I get most of the elements from around my house or the dollar store. Building up the supplies in the beginning was more expensive. But now that I’m established, I don’t have to go out to the stores for much. 🙂 Thanks for your kind comment! Sometimes Thank You for great ideas is not enough. This is one of those times. My head is spinning with ideasl Between my Grands and some of their friends I am sure to get a treasure chest full of things for our bowls. Toy boxes have always been great sifters for things this size. At least 1 time a year the bottom of the toy box has been emptied and passed on to something or someone not in this home but not any more, Thanks to You!! You are so very welcome!!! Have sooo much fun!!! These look like hours of fun and great play time.